The smartwatch scene is exploding right now. With products available from a number of different well known manufacturers, the market is saturated with quality products that work with you rather than against you. And while Fitbit started off as a health-focused product line, they are adapting their products to address the needs of their customers. And it’s yielding some pretty great results. The latest of these products from fitness tracking giant Fitbit is the Fitbit Blaze. It is the latest smartwatch product available on the market and it takes health tracking to a whole new level, with music, phone and texting capabilities built in. And if you’re planning on picking up a Fitbit Blaze, there’s some essential tips and tricks that you’re going to want to know so you can get the most out of your new tech. The Fitbit Blaze tells time. Big shocker on that one. However, if you’re not a fan of the default clock face, it’s worth noting that you can change it. Unlike Android Wear watches, you can’t actually change the clock face on the watch itself, you’ll instead have to use the mobile app to install your new clock face to the watch. Thankfully, Fitbit has made it quick and easy to change the way your watch looks, so you can switch and swap your style depending on your mood. After all, customization is a big part of tech popularity. 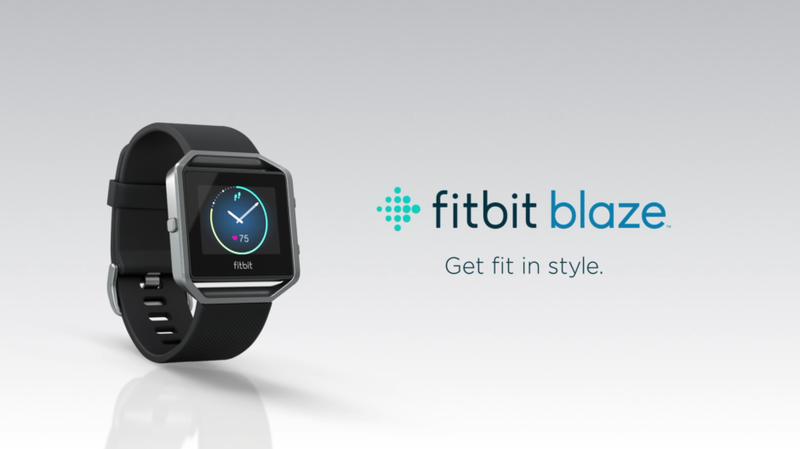 The Fitbit Blaze provides users with plenty of customization options. If you’re looking to change the appearance of your watch, there are apps, settings and products you can get that will make your watch reflect your personality. You can take this same customizable mentality and apply it to your workout with the ability to change your exercise shortcuts. Fitness tracking is at the heart of this watch design. It’s able to track a variety of different sports for the athlete in all of us. Thankfully, you can change the shortcuts that appear on your watch to sports that interest you. If you love cycling but hate running, this should come in handy. As many reviewers have pointed out, the Fitbit Blaze does not have GPS built into the device. While this won’t be an issue for most people, those looking for accurate monitoring will be a bit complain-y. With that in mind, your best option is to turn to the GPS in your phone, which should do a job better than anything. In order to achieve this, you’ll want to make sure that both GPS and Bluetooth are enabled on your mobile phone. From the exercise screen on the Fitbit Blaze, you should see a small cog next to the track activity. Pressing this will allow you to turn on phone GPS support, which will harness the GPS location of your mobile phone for more accurate tracking. The Fitbit Blaze brings with it a number of features that you can find in other smartwatches, including the silent alarm. The slight vibration is perfect for the early riser that doesn’t want to ruin everyone’s morning with a loud alarm clock. In order to set this feature up, all you need to do is select “Silent Alarms” in the Fitbit app and add your new alarm. There’s also a snooze option to temporarily silence your alarm. Getting up in the morning will be easier than ever with this gentle nudge.